What did Ostian script look like? I've seen some drawings in Origin of the Serif and I'd like to learn more. But when I tried googling I wasn't able to find anything: all I got were false positives. The example on Figure 212 of Catich's book shows a Roman majuscule A and N, which are described as Ostian inscriptions of the year 75. Both are in the Vatican Lapidary Museum. Compared to Trajan, the height-width ratio of the letters is smaller. The right leg of the A is very thick, with a very long exit serif. Ostia was a Roman port, possibly the first of their colonies. As such, the script should have been based on the Latin alphabet, which itself appears to have been derived from the Etruscan script. Looking at graffiti found in the ruins there was a fair amount of variability in writing of Latin characters. Not the answer you're looking for? 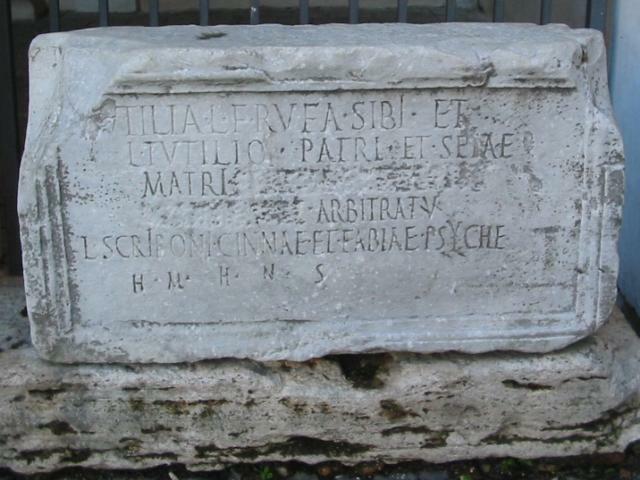 Browse other questions tagged ancient-rome writing script epigraphy or ask your own question.